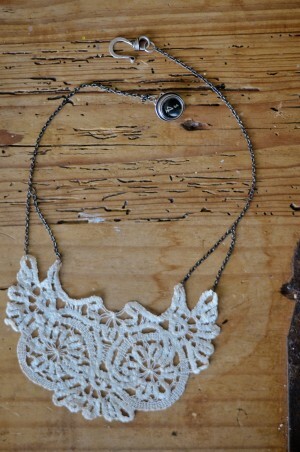 I love pretty lacy things, so I’m excited to share this fun and easy DIY project from Rebekah Murray! 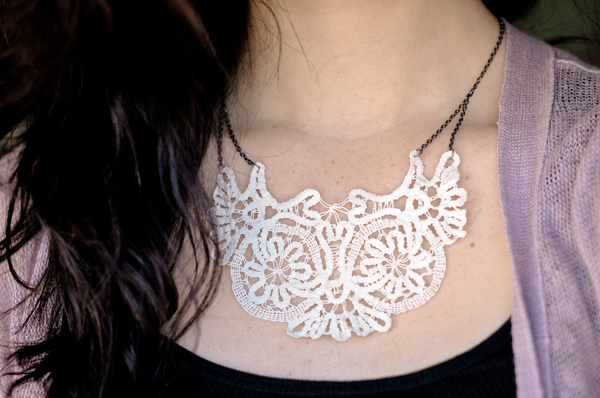 Today, Rebekah is going to show us how to make a beautiful vintage doily necklace. 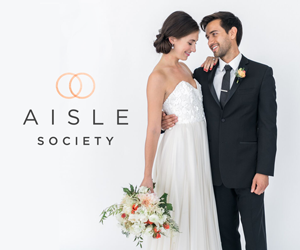 Follow along below, or download the printable instructions here. 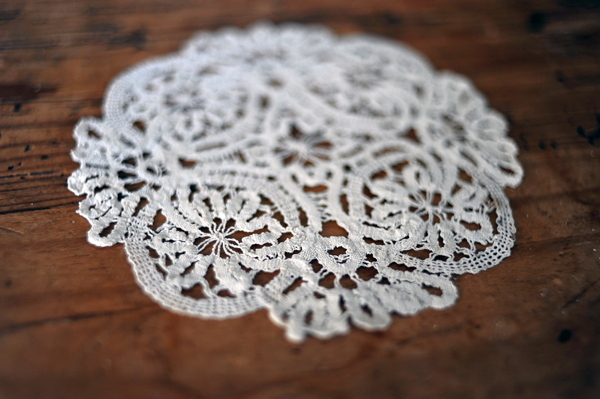 Finding the right doily for this project may be the hardest part. 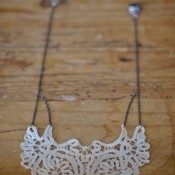 You need one with good shape and structure in the size you like, but one that is also delicate enough. 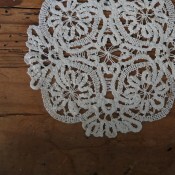 After a lot of searching, Rebekah lucked out at a local antique store and found a bag of vintage doilies for just a few dollars. 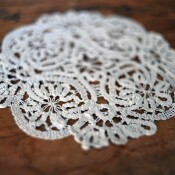 1) Lay your doily out and decide where to cut. 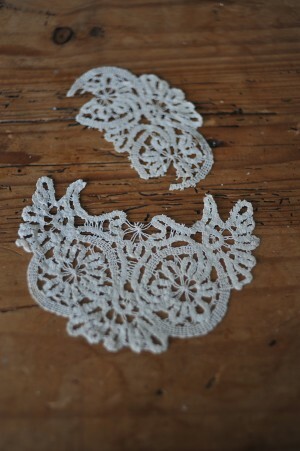 Be sure that each side of the doily after cutting has four loops for the chain. 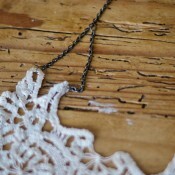 2) After cutting the lace, dot sewing glue around the edges and where the chain will be added to prevent it from fraying. 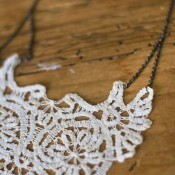 3) Measure the chain for your neck and doily. 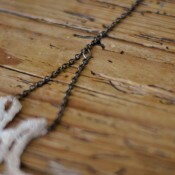 4) Open a jump ring with needle nose pliers, and attach it to one end of your chain. 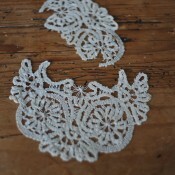 Thread the jump ring through the doily. 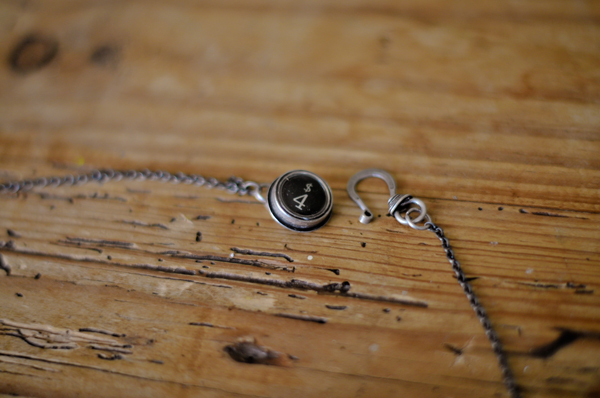 Use flat nose pliers to close the jump ring. 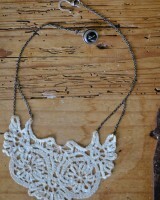 Do the same with a smaller length of chain on the second doily loop on the same side of the necklace. 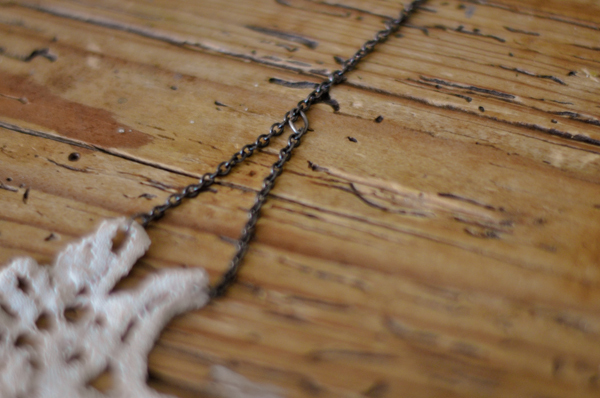 Then use another jump ring to attach the smaller length of chain to the longer length. 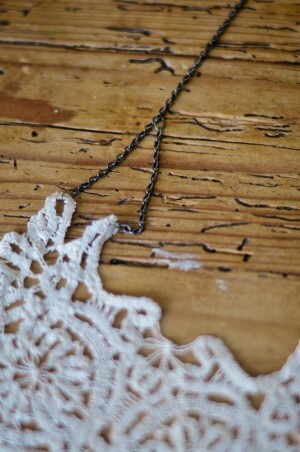 Repeat on the other side of the doily. 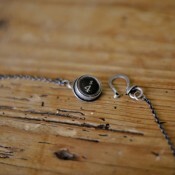 At the other ends of your chain, use jump rings to attach your necklace closures. 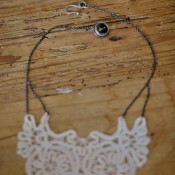 Rebekah found a precious typewriter key closure for this necklace. 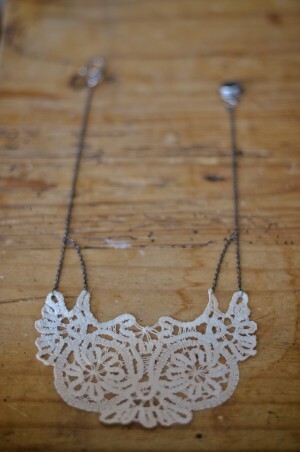 Voila, a beautiful vintage doily necklace! 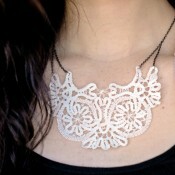 Images and tutorial by Rebekah J Murray for Elizabeth Anne Designs. 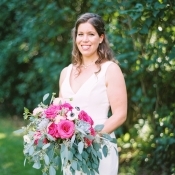 Rebekah is one of EAD’s awesome featured photography vendors in DC, but this is not a sponsored post. 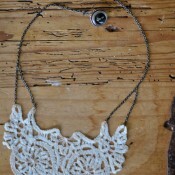 Pretty Paper Bags Announcing Inspired Creations Contest #2: Glitter and Glam!